Recently,​ ​Dr Yusuf Matcheswalla, Chairman of Humanity Health Organizations, in collaboration with Gokuldas Tejpal Maharashtra​ ​State Government Hospital and Masina Hospital Department of Psychiatry, conducted a multidiagnostic camp where a team of specialist doctors from different fields offered their services to the children of the Banyan Tree Centre, a long established organization for the welfare of children in Dharavi, to ensure their better health. About 600 children attended this camp. This is one of many initiatives​ ​by the Banyan Tree Centre to support​ the underprivileged local population of​ ​Dharavi area. Aviva Damania, daughter of Parvez Damania​, currently​ ​an intern at​ ​Masina Hospital under​ ​Dr Matcheswalla, coordinated the entire event. Rahul Shewale, MP, Mr. Sudharak Olwe, Padmashri and Mr. Micky Mehta visited the camp to support this​ ​important​ ​initiative. 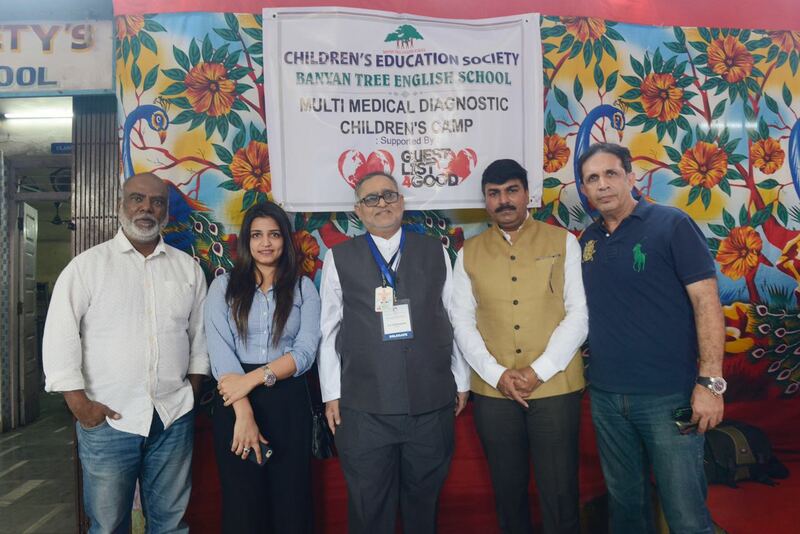 There was a team of about fifteen doctors and five specialists for the medical checkup of the underprivileged children. The camp started at 9am and continued till late afternoon. No Comment to " New hope for orphaned children, courtesy The Banyan Tree "